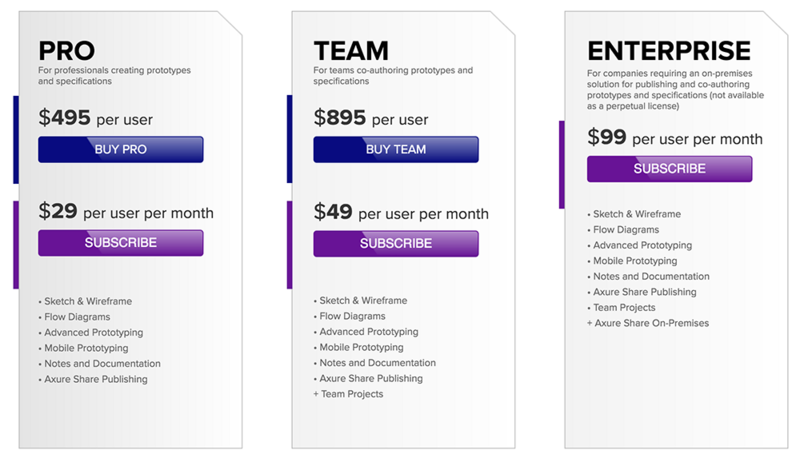 Compared with the pricing strategy of Axure, Justinmind, Balsamiq offers more options based on the user's different requirement. 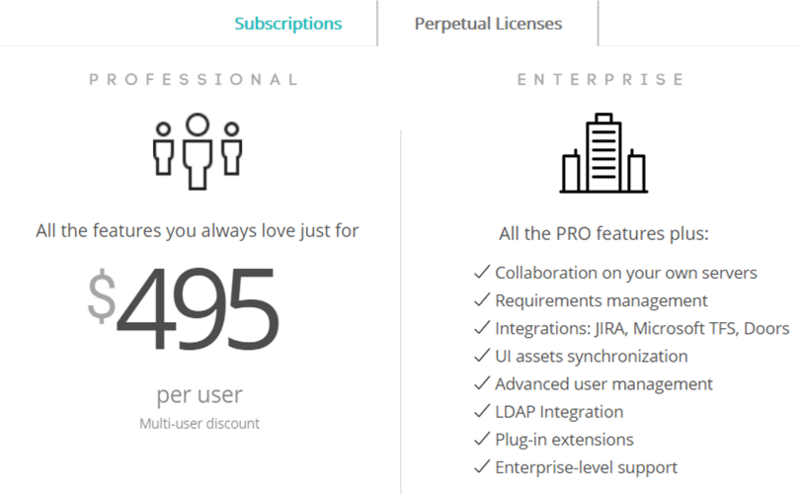 They can choose the volume license or upgrade license, as well as the single user license at the price of $89. 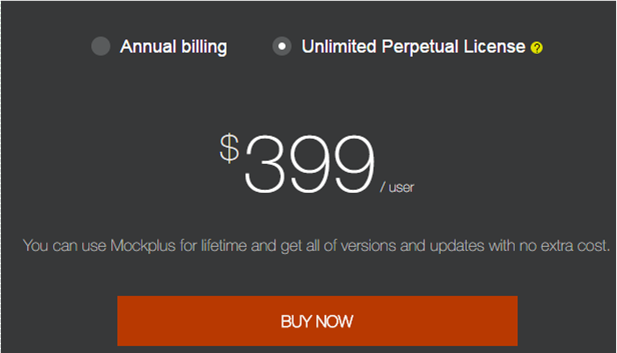 According to the website, Mockups 3 for Desktop is a one time purchase; there are no maintenance costs for the license. 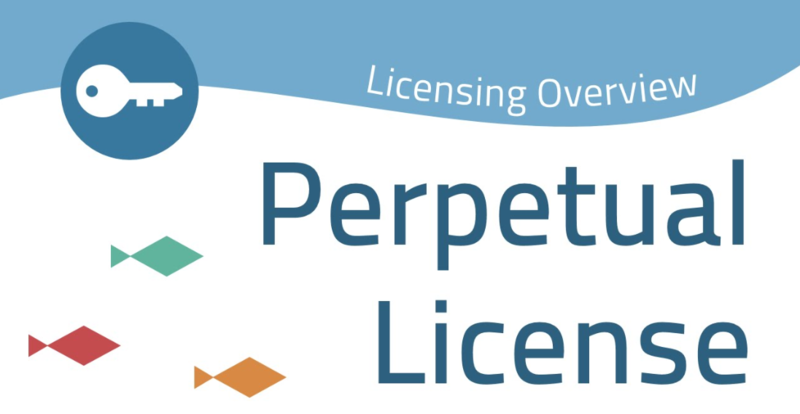 Licenses are tied to humans, not a particular machine. But the site does not directly tell the user whether an additional purchase fee of upgrading is required. But with careful reading of the document, you can find that the major-version updates will have an additional cost.